It got a bit too hot for effective detection. 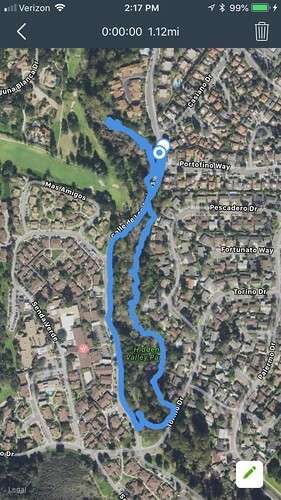 My route is in blue. Comments: It sounded like it came from the golf course. Comments: Bird called pretty softly from the creek bottom about 7 times within 50m S of the bridge that is S of Portofino Way. Not seen.